The B+W 77mm Close-Up +4 SC NL 4 Lens offers the ability to achieve macro-like results with camera lenses that have 77mm front filter threads. A close-up lens is a magnifier that optically decreases the focal length of a camera lens placed behind it. This effect lessens the minimum focus distance between the camera lens and a subject. Magnification can then be obtained by decreasing the distance between the subject and the combined camera lens and close-up lens. The magnifying power of a close-up lens is indicated by its diopter strength. A close-up lens with a higher diopter number provides more relative magnification and can be combined with other close-up lenses to increase, or fine-tune the macro effect. This close-up lens has a diopter strength of +4. Diopter strengths of +1, +2, +3, or +5 are also available where this close-up lens type's effect becomes progressively stronger with each diopter strength number increase. To prevent internal ghosting and reflections, each glass surface of this lens includes one layer of anti-reflection coating. B+W close-up lenses are constructed from Schott glass for increased optical clarity. This close-up lens features an F-Pro brass filter ring for durability as well as jamming prevention. Box Dimensions (LxWxH) 3.701 x 3.622 x 0.787"
77mm Close-Up +4 SC NL 4 Lens is rated 4.9 out of 5 by 7. Rated 5 out of 5 by WBB from Perfect for Underwater Photography This +4 ensures I can get as close as necessary to whatever feature or creature I am photographing underwater. There is no deterioration of picture quality and kept it on the lens on every dive so ease of use could not be any better. Rated 5 out of 5 by Scott. from Great purchase I use this filter as substitute for Macro lens to photograph details in nature, especially flowers. 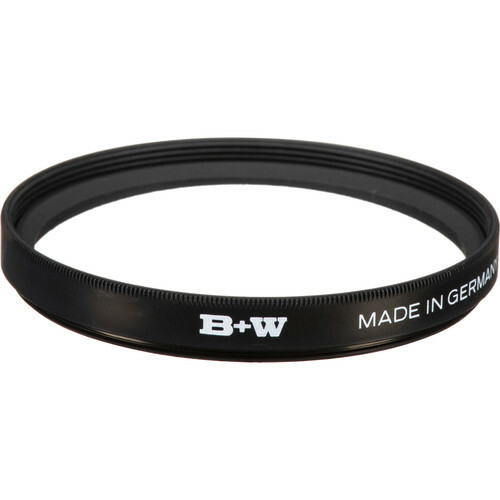 Great price and usual high quality of B+W filters. May need to use a narrower aperture (ex. f/8) as this filter seems to narrow the depth of field. Rated 4 out of 5 by Photojan from Worth trying This is an inexpensive way to try macro photography. Rated 5 out of 5 by Kristopher from Excellent Product Excellent product at competetive price. Rated 5 out of 5 by Leo from Great for 6 underwater dome ports. I just used this for the first time, shooting underwater video with a Tokina19-35mm f/3.5-4.5 AF lens in a 6 inch dome port and everything is fine. My video looks sharp from edge to edge and I don't see any problems. My Tokina lens' minimum focus is greater than 1 foot, so a close-up lens is needed to use it with a dome port. Rated 5 out of 5 by Gordon from Get the most from your Kit Get great closeups, macros and save money compared to macro lenses. I use mine with a 70-300 mm lens. will this fit a nikon d3300 55-200 lens? Asked by: Keith& Kathy F.
I guess so as long the front of the lens has a thread and it is size 77mm.